About that time, stronger features became fashionable on the screen. Many of us have been there before. 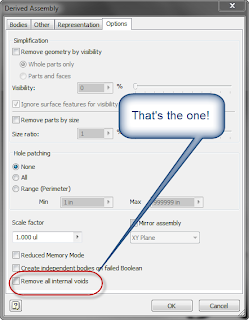 We need to send our 3D CAD assembly to a 3rd party, like a vendor, for example. But we don't want to directly export the full 3D model. Why? The 3D model contains all the information required to build the components within the assembly. The "feature rich" assembly may be overkill because the extra information, such as internal cavities, may create a model that is "overly heavy and complicated" for the end user. Even worse, giving them that feature rich model may give away proprietary information that may allow an unscrupulus end user to take advantage of our hard work. Would you always want to send out a model with all this detail to a 3rd party>? 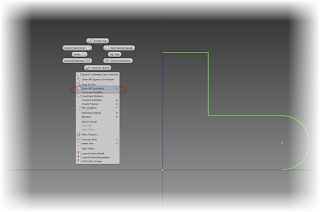 In older versions of Autodesk Inventor, you could derive the assembly into a part model, and use standard Inventor part modeling tools to remove the excess features. 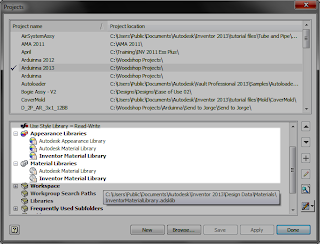 You could even use Autodesk Inventor Fusion if you wanted. But this process took time, and while it might be worth it to protect intellectual property, who doesn't want a faster way. 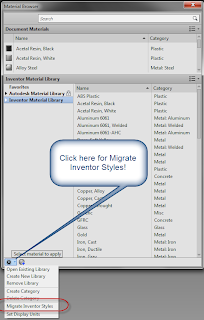 As of Autodesk Inventor 2013, there is a way. 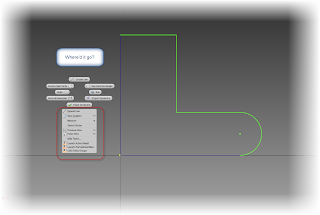 To take advantage of this new tool, the model is still derived into a part file using the Derived Component too, just like before. We can still go into the Options tab, and change how the assembly is derived and remove parts and features that we don't need. But now check out the "Options" tab for the new options. 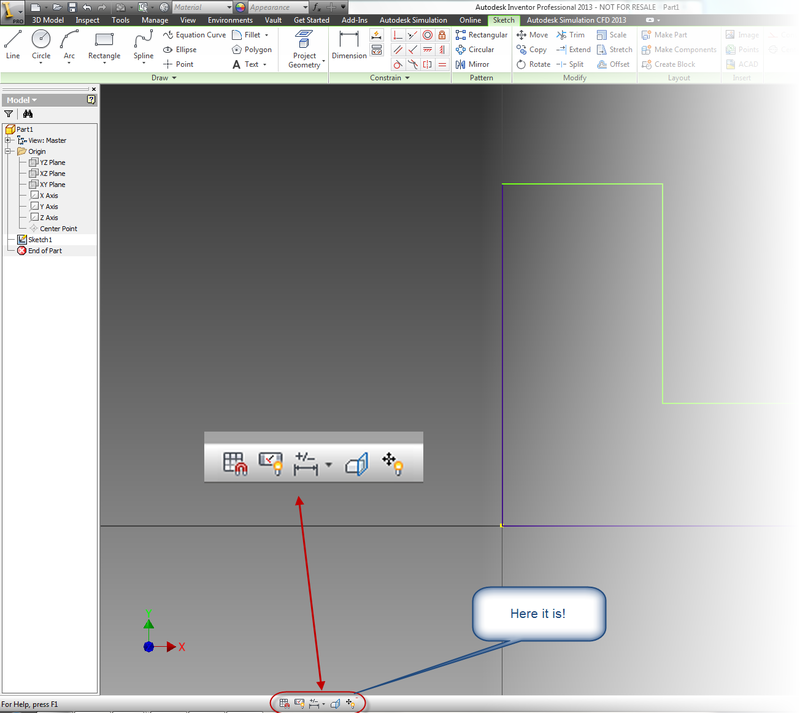 But a new option in this window is to remove internal voids that allow the part to be quickly simplified. With the addition of this tool, manually filling holes, voids, and generally "dumbing down" an assembly can be reduced, or even eliminated. 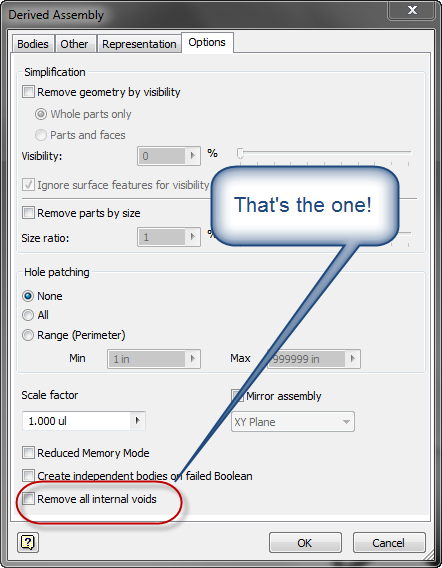 Remove voids! The new tool! 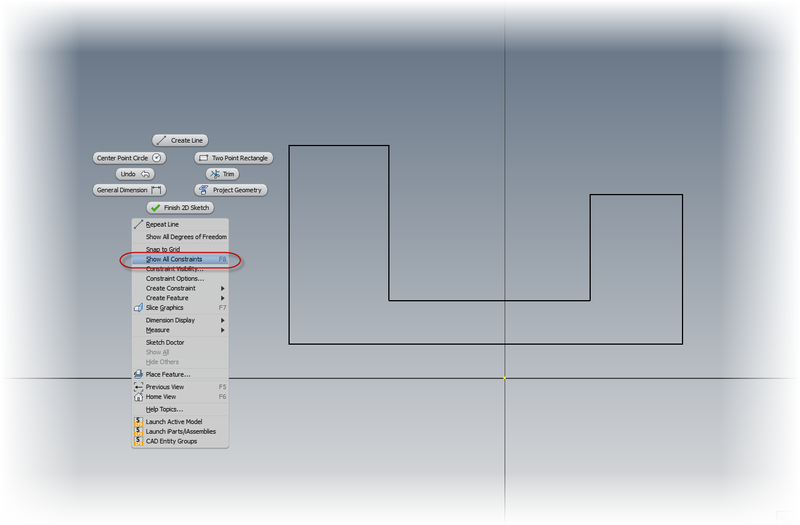 So on that note, here's a video that shows both the steps, and the result of a quick simplification of a component. Have a suggestion on how you approach this challenge? Drop a comment below! Show All Constraints. 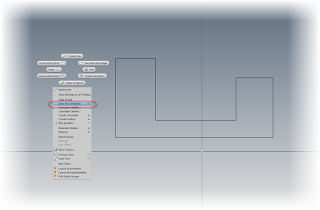 It's been in Autodesk Inventor since I started way back in the days of Release 4. It was available from the right click menu, or by hitting the F8 key. 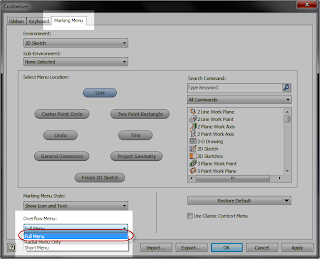 The right click menu from Inventor 2012. 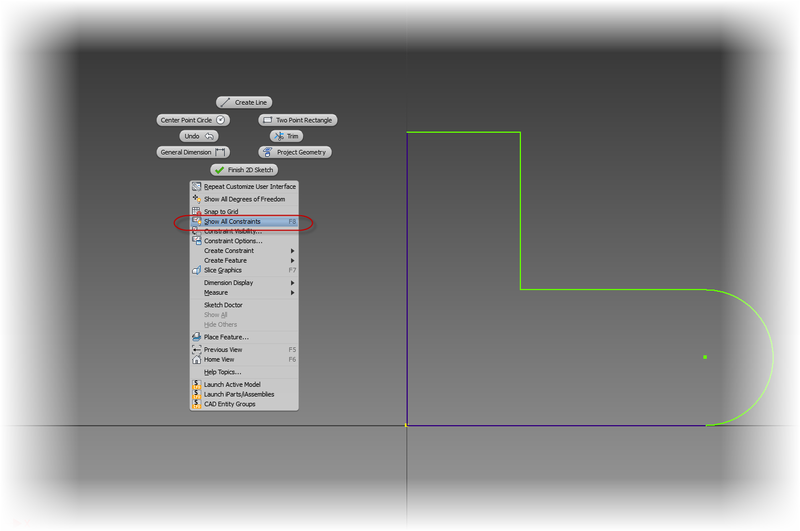 The "Show All Constraints" option is there like it's always been! Just today I fired up Inventor 2013, and started up Inventor 2013, created a sketch, and right clicked to show all my constraints. Guess what? It wasn't there! The hotkey (F8) still works, but it wasn't on the right click menu any more. I puzzled for a second, then I face-palmed. 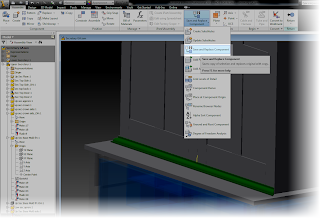 I remembered reading in the What's New for Autodesk Inventor 2013 that it was moved to the new Status Bar at the bottom of the screen! And if you want more info on these tools, check out the Wikihelp here for the full rundown! But I like the old way better! Now, I know that there are those out there who are asking; "Why can't we make it like it was in 2012 and earlier?" If you are on that team, you're in luck! 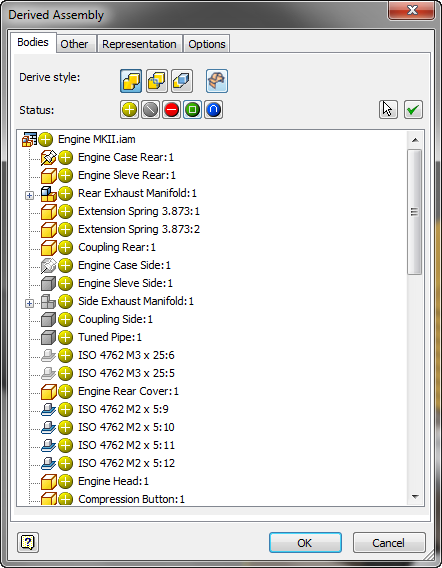 Go to the "Tools' ribbon, and choose the "Customize" icon. 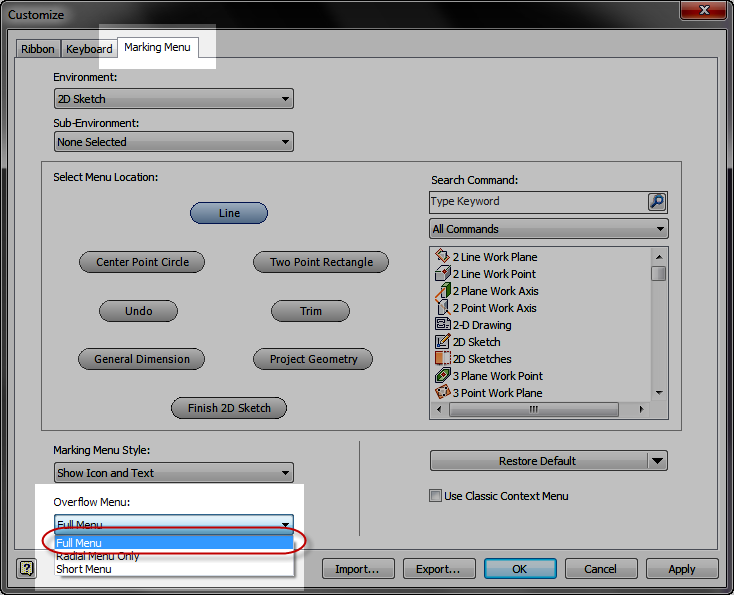 On the dialog that appears, choose the "Marking Menu" tab. Then in the lower left hand side, pull the fly-out open and set the Overflow Menu to "Full Menu". Click "OK" and the settings will be back to the older style settings! 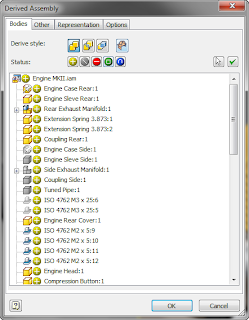 So there it is, a few of the Inventor 2013 changes, and some ways to go back to your last release settings. I hope the tip helped! 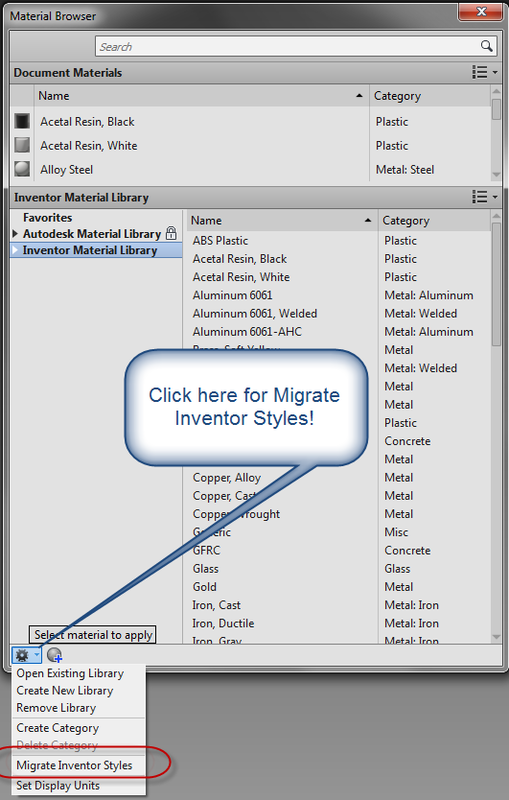 When I first started working with Autodesk Inventor 2013, I thought that migrating the Styles and Standards (colors, sheet metal styles, dimension styles, etc), would be exactly the same as in 2012. I even tried it, and everything worked fine. But earlier this week a KETIV colleague, Javier Chavez, asked me a question. 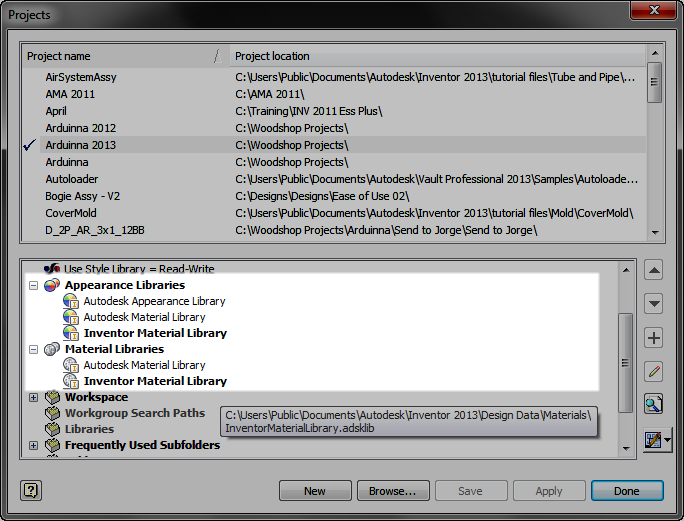 "Have you noticed that the Design Data folder was restructured in Inventor 2013? I hadn't noticed the change. But as we looked at Windows folder structure, discussed migration procedures, puzzled, and discussed some more, we found that the folder structure had indeed changed. 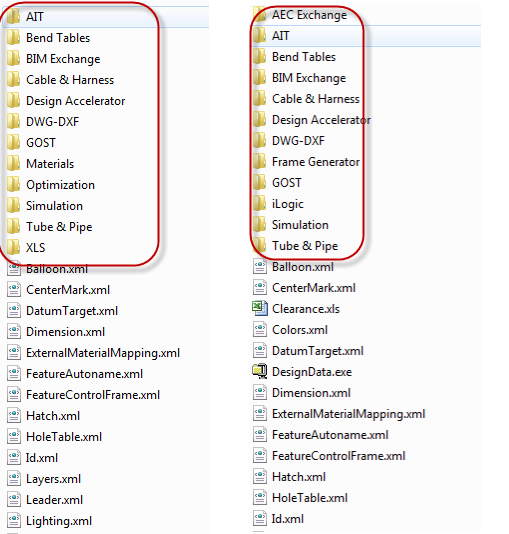 Notice the difference between folder structure in Inventor 2013 (left) & Inventor 2012 (right). "That's going to make migration important." I understated. 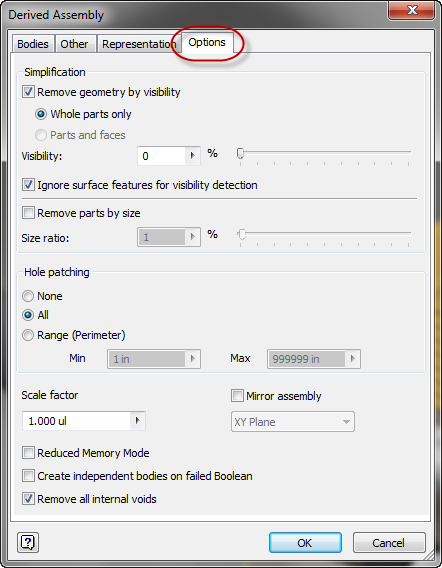 So I deleted my Inventor 2013 Design Data, and tried it again. Sure enough, the process was different. 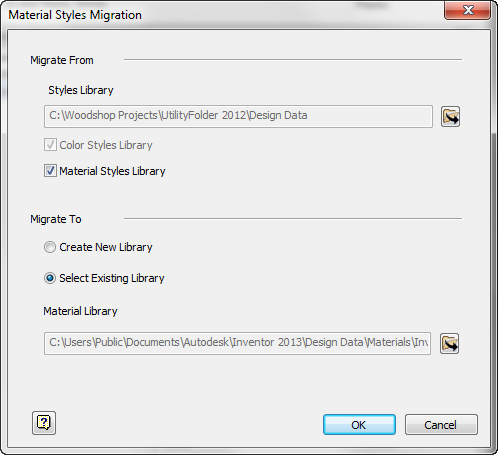 In brief, the biggest difference is Inventor 2012 (and earlier), migrated the data in place. So you copied your old data to a new location, and migrated it there. 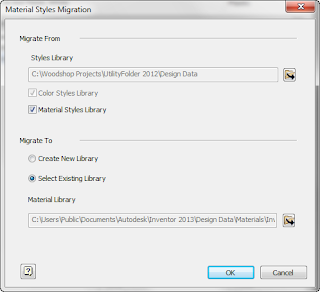 Inventor 2013 on the other hand takes your data and copies it to the new location, migrating it during the process. 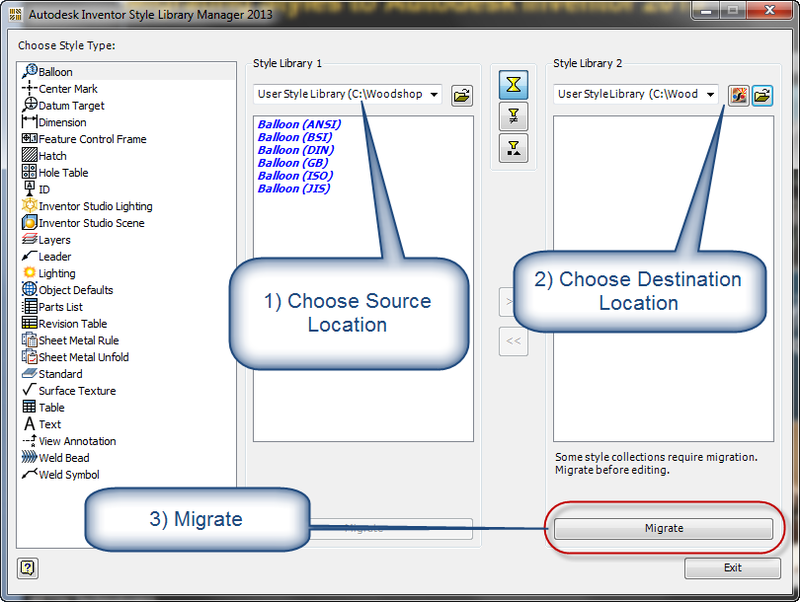 Source folder, destination folder, and a waiting migration button! This was the difference I'd missed the first time. So before I show you the video, here's one thing to always remember! 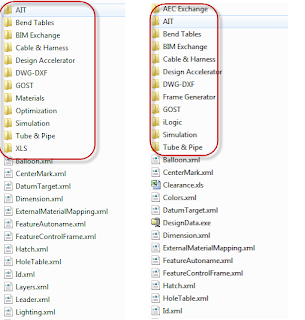 Have a backup of your Design Data folder! I cannot stress this enough! 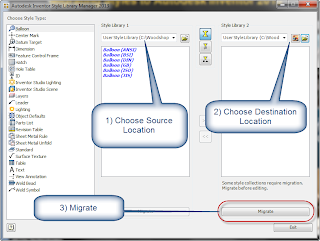 If you make a mistake, you can always delete the migrated files, and try again with the backup you created. As a matter of fact, I did this several times testing out the migration to make sure what I thought was going to happen, was really what was going to happen. As I was once told. "If you think you don't need a backup. Stop and ask yourself the following question. When was the last time you regretted having a backup?" In other words, make the stinking backup. It takes a few minutes, and can save you hours of having to live in the "Purgatory of Data Recreation". "Is this old airplane safe? Well, my dear, how do you think it gotto be this old?" 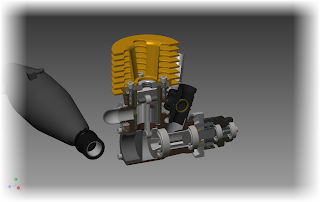 In my last blog, I said that there wouldn't be much Autodesk Inventor blogging today. 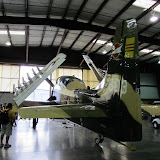 That's because this weekend was the Planes of Fame airshow in Chino, Ca. It was a great weekend of volunteer work, that was exhausting, and exhilarating all at the same time. And it always gives me pause to look up at the history in the air, and think of what it must have been like "back then". I'm glad there are so many working to keep this history alive. So for your enjoyment, (if you'd like), here are a few pictures from the show. Once I catch up on lost sleep, and the pain of my sunburn fades, I'll be sure to have some more CAD stuff up! 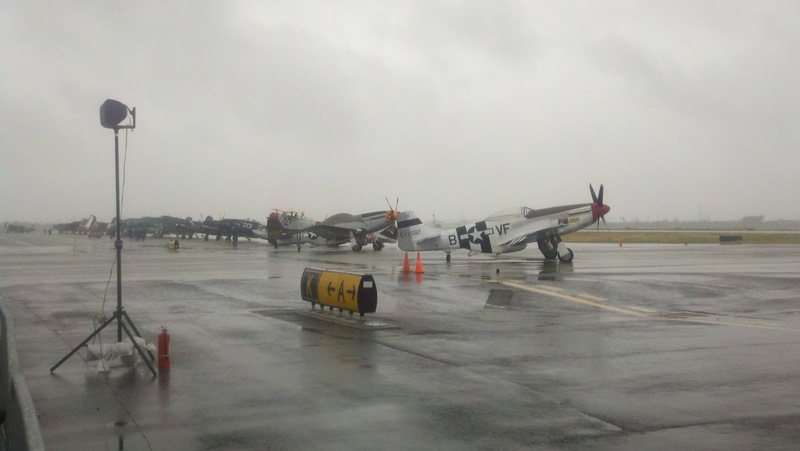 Until then, enjoy some warbird pictures!